I thoroughly enjoyed this unique twist on the mail-order marriage trope! Each author’s creativity shines as endearing characters and engaging story lines are carried through seven cleverly crafted novellas. After the war, the ladies of Turtle Springs, Kansas, resolve to revive their community with mail-order husbands, and the stories that unfold are both humorous and heartwarming. 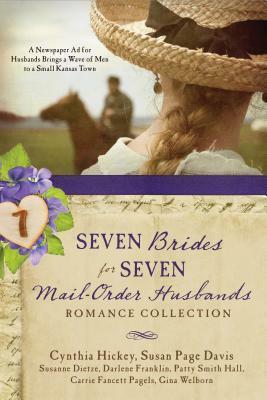 Seven Brides for Seven Mail-Order Husbands is a delightful collection that offers hours of reading pleasure!